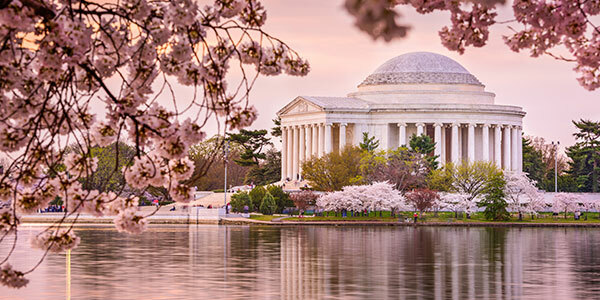 Seeing the Yoshino cherry trees in bloom is a beautiful time in Washington DC. As you walk along the Tidal Basin check out the view of the Thomas Jefferson Memorial or the Washington Monument. It's truly Instagram worthy! You can also explore the different events going on between March 20 - April 14, 2019 at local restaurants and businesses. Where can I get a bite to eat? During the festival dates, Cherry Picks restaurants roll out their creative spring meus throughout the city. There are delicious cocktails, entrees and desserts to enjoy. Check out the list of participating restaurants or come back to our Foggy Bottom hotel for contemporary classics at DISH + Drinks.